These painters drill shorts are the staple for the everyday industrial man or woman. They are uniquely designed to facilitate and movement, performance, while retaining a uniquely functional appeal as well. These are heavy duty short designed for intense labor or exposure. They can be worn in any elements with a t shirt while you are hiking, or they can be worn in your indoor or outdoor work setting. They are the perfect sartorial staple for painters, and they contain 8 artfully designed pockets to fit all of your available tools, and even your personal belongings. 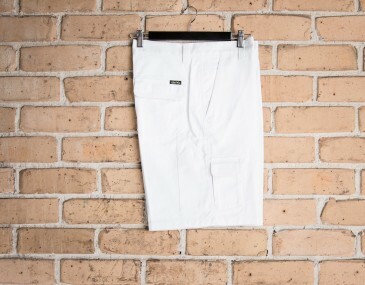 Purchase these shorts and we will supply them with your logo expertly branded onto the garment. The price includes screen printing (print set up cost of $75 applies) or embroidery of your logo or graphic. We recommend embroidery on either the bottom hem or around the hip area. At the moment we only supply this pair of shorts in bulk. The minimum order is displayed on the pricing table of this webpage. We stock this product in our Sydney warehouse. The turnaround time for personalized orders is 2 weeks. For faster turnaround times please contact a friendly team member with your required date. Generally we are able to work towards your required date for a faster turnaround time. This thick cotton fiber fortifies your protection against UV rays. 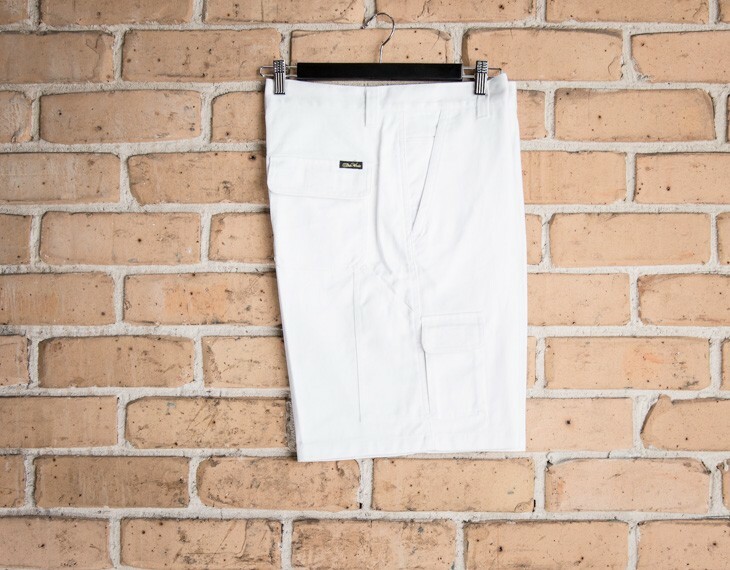 These shorts were designed to meet selective Australian garment safety standards and they ensure the protection and safe wear for the customer. This garment is made with: Pure 100% cotton | 300gsm. Size guide measurement: Inner Leg (CM): Size 77R- 77, Size 82R- 79, 87R- 72, Size 92R- 84, Size 97R- 86, Size 102R- 87, Size 107R- 88, Size 112R- 89 .